LinkedIn just released its 2015 Talent Trends report, compiling responses from more than 1,600 professionals in the U.S. and Canada. Here is a quick breakdown and what it means for you. Only 30 percent of the workforce in the two countries is considered active talent. That’s actually up from last year, when 25 percent were active talent. Is the war for talent easing? Not at all. The LinkedIn study finds that active searchers aren’t necessarily unhappy with their jobs — nearly half said they were satisfied, while 20 percent said they were neither satisfied nor unsatisfied. 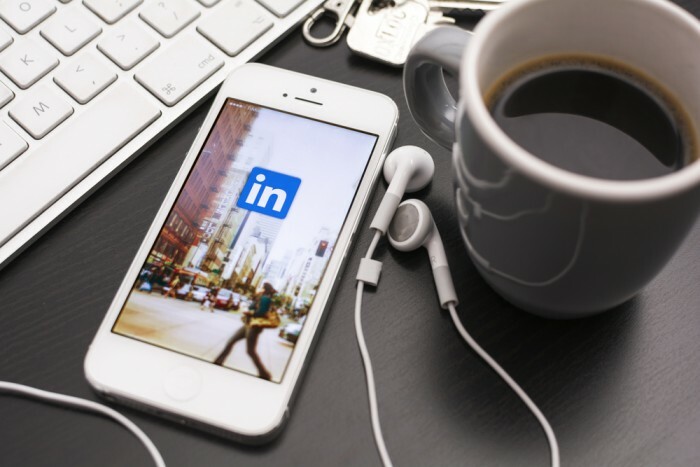 Even more fascinating, both active and passive talent is participating in professional development opportunities, “with one eye open for their next opportunity,” as LinkedIn puts it. These includes researching jobs, researching companies, networking, and updating résumés. Forty-five percent of all American and Canadian workers are doing this, even though only 30 percent are actively looking for a job. What this means for you: Unemployment is decreasing (from 6.1 percent last August to 5.1 percent this past month) and even happy workers are on the hunt for better opportunities. That means now is the time for more targeted recruiting and a stronger employer brand to reach new talent, as well as employee engagement initiatives to retain your best talent. LinkedIn’s survey found that 65 percent of workers turn to their personal and professional networks for company referrals and recommendations. Sixty-two percent looked for opportunities on online job boards, while 61 percent checked “social professional networks” (LinkedIn’s generic term for itself). Only 54 percent visited company websites and just 31 percent used search engines. What about social media apart from LinkedIn? Jobvite’s 2015 Job-Seeker Nation survey fills in the blanks: 67 percent of job-seekers use Facebook in their job search, and 45 percent use Twitter. Only 40 percent actually use LinkedIn. When it comes to professionals making more than $75,000, the Twitter percentage jumped to 54 percent. Millennials add Instagram, Pinterest, and Snapchat to their research as well. What this means for you: Social media is now officially as important as job boards when it comes to recruiting, so you need both a presence on and a strategy for social talent acquisition. Once again, employer branding comes into play, as workers’ most trusted resource is their circle of friends and colleagues. What they hear about your brand, from social media posts and Glassdoor reviews and LinkedIn company pages, affects what they tell their job-seeking friends. Online job boards are becoming less important, so perhaps it’s time re-allocate funds from your careers site to your social media channels. The LinkedIn findings are loud and clear: 83 percent of global talent say a negative interview experience can change their mind about a role or a company they once liked. Seventy-seven percent say the interview is extremely or very important in making their final decision to accept or reject an offer. After the interview, 49 percent want to hear from the company periodically, even if there’s no update. Post-interview feedback is even more influential to job-seekers. Ninety-four percent of those surveyed want feedback, and those that receive it are four times as likely to consider the company for a future opportunity. Yet only 41 percent of respondents say they’ve received feedback in any form. What this means for you: Candidate care can be a powerful differentiator for your organization. It can reinforce your employer brand and show off your culture — which is one of the top three factors in U.S. and Canadian job-seekers’ consideration of a job offer. If you’re keeping candidates waiting in the lobby, not telling them about your culture, and not communicating with them after the interview, you could be alienating your ideal workers. Make candidate experience a valued part of your recruiting and employer branding efforts to stay ahead of your competitors. LinkedIn’s survey makes clear that there are three important factors for hiring in the competitive landscape: Employer branding, social media recruiting, and the candidate experience. Job-seekers, both active and passive, are searching for companies that engage them online, treat them well during the application process, and have a reputation as an employer of choice. Looking ahead to your 2016 budget, these areas should take focus. They certainly will for your competitors.